The design of deck stairs and landings is limited only by your imagination, and your region's local building codes. The design you choose depends on the purpose of the deck, its location and the people using it. A steep set of narrow stairs with a small landing may accentuate a long descent from a deck to the beach, but this design may be impractical if small children or senior citizens use the stairs. Building code requirements change constantly and vary by state, county, city or town. 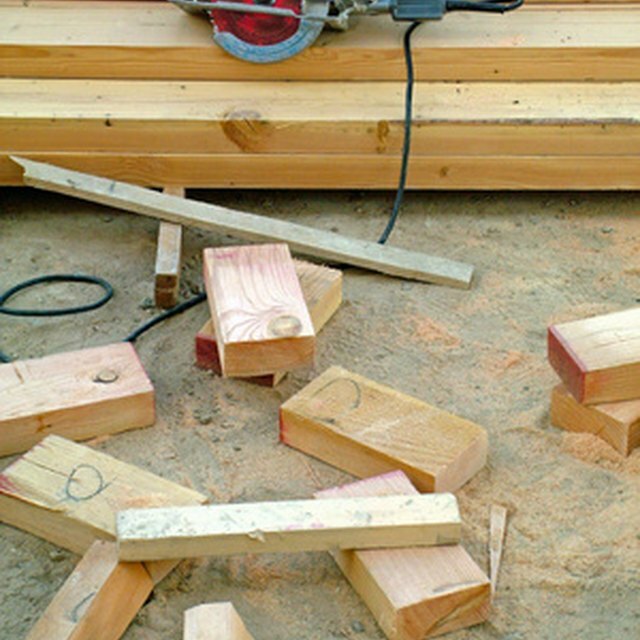 Check local building code requirements before you build the deck and don't forget to obtain your building permit. Design deck stairs to meet building codes when planning your deck and landings. If your deck is low to the ground, you have many design options for its stairs. Because low decks require only one or two steps, building codes may not require railings or landings. You may decide to set the stairs at an angle at a corner of the deck using wide steps to give the deck a contemporary look. To heighten this effect, incorporate several angles for the same set of stairs or add an additional set of stairs off another corner of the deck. If the deck is high above the ground, railings and landings will be required according to building codes. One design idea is to use a landing to mark a change in the direction of the bottom portion of the stairs. If you use this design option, ensure the bottom portion of the staircase is not under the deck for safety. Another design idea is to create wide stairs with multiple landings for appeal. If you do not want the staircase to become a focal point, set the stairs to one side of the deck. Open risers can provide strong visual impact for deck stairs. However, if you choose this design option, keep in mind that building inspectors will examine your deck stairs to ensure the rise and run conforms to local building codes. Open risers must be small enough so that they are not a safety hazard. Open stairs can be used with or without landings. A trend in deck design is to build the deck on several levels, having each level double as a landing and a deck. Place the barbeque grill close to the house, the seating area down a level to avoid heat and smoke from the grill and a third level suitable for children or for use as a solarium. For multilevel decks, decide if the deck stairs will span the entire opening, or whether a 3- or 4-foot wide stairway is preferred. Most building codes for decks require deck stairs to be a minimum of 36-inches wide.